LC5 Le Corbusier Sofa Day Bed was originally designed to be a 3-seat sofa whose backrest pivots back to create a modern twin bed. Inspired by Le Corbusier's original LC5 furniture from Cassina, this interpretation stays true to the original in quality and form. 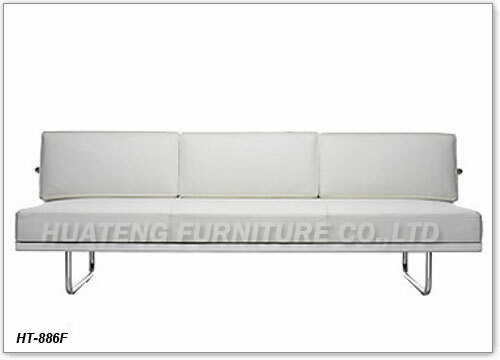 The LC5 sofa is a great addition to a lounge section of the bedroom, living room or office and other commercial areas. Material: PU, Chinese leather or Italian leather covered, stainless steel frame and high density foam inner, which ensure the long-term comfort and support.